“The Paintball Scattering” – Pictured: Amy Farrah Fowler (Mayim Bialik), Sheldon Cooper (Jim Parsons), Leonard Hofstadter (Johnny Galecki) and Penny (Kaley Cuoco). Penny and Leonard organize a paintball game that results in mayhem when Sheldon is jealous of Amy. Also, Koothrappali catches Anu with her ex-boyfriend and Stuart doesn’t want to move in with Denise, on THE BIG BANG THEORY, Thursday, Jan. 3 (8:00-8:31 PM, ET/PT) on the CBS Television Network. Photo: Michael Yarish/Warner Bros. Entertainment Inc. ÃÂÃÂ© 2018 WBEI. All rights reserved. Warner Bros. has set its WonderCon lineup. 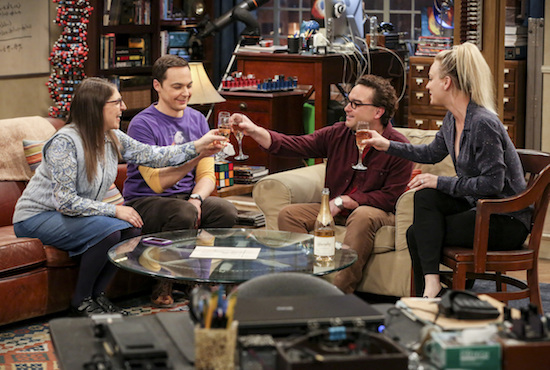 The studio is bringing THE BIG BANG THEORY for its final convention appearance before its spring series finale. Additionally, THE 100 will debut its season 6 premiere (complete with a panel featuring its creator and cast), and animated series DC SUPER HERO GIRLS will have a presentation. The annual convention runs from Friday, March 29-Sunday, March 31 in Anaheim.